A new online portal launched today features examples of business leadership in the investment and use of clean and renewable energy across Florida. The stories and projects highlighted are part of a new initiative, Clean Energy Florida, which promotes awareness around the potential of clean and renewable to grow Florida’s economy and to protect the state’s renowned natural resources. The initiative seeks to coalesce business owners, leaders, and municipal decision-makers, who have invested in and are supportive of solar, efficiency and other clean energy projects within their companies and cities. The initiative also features small business owners, non-profit organizations and multi-national companies, such as Roundhouse Creative in St. Petersburg, co-op leader Solar United Neighbors, and Canada-based TD Bank, who are leading the charge in expanding clean and renewable energy initiatives for communities across Florida. “One of Florida’s greatest economic opportunities lies in accelerating clean energy options for the state. 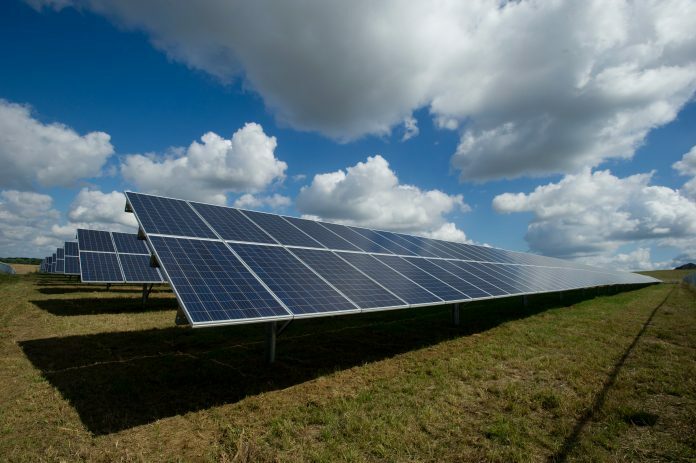 As one of the most solar energy rich states in the country, Florida has the potential to become a national leader in clean and renewable energy and the business community is at the helm of this movement,” said Jake Hiller, manager with EDF+Business, which supports the Clean Energy Florida initiative. A poll in June 2018 surveyed over 1200 likely midterm election voters in South Florida and the I-4 corridor on their attitudes and perceptions towards clean and renewable energy. The results showed that a vast majority of them felt that adopting clean and renewable energy practices was not only a prudent economic decision, but also the right thing to do. By double-digit margins, those surveyed also believed that the business community is poised to lead on the issue of clean energy in Florida. Clean Energy Florida is an initiative led by the Florida business community that works to catalyze clean energy growth, adoption, and investment across the state. Clean Energy Florida and its supporting business leaders believes that Florida is well positioned to become a leading and innovative clean and renewable energy hub, and businesses in particular can drive the transition towards a strong and prosperous energy future.